Compact outdoor armchair in a Coffee weave. Available from stock and delivered in 2-3 days. Suitable for a wide range of commercial applications. 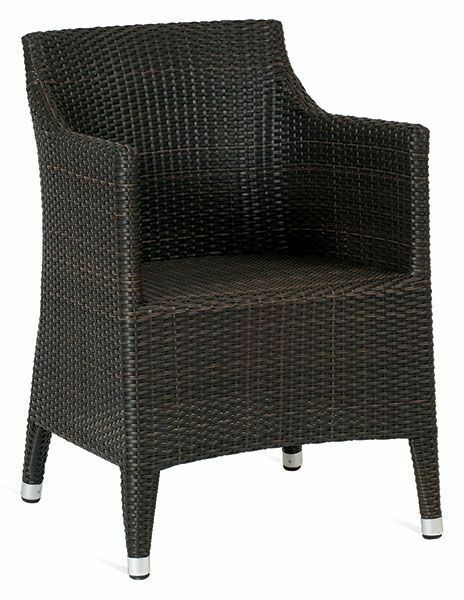 High surround rattan armchair with a rich dark coffee finish, this chair is perfect for use in a outdoor commercial space.